The man is expected to appear in court later today. 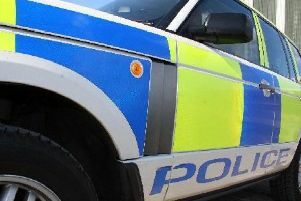 A 24 years-old man has been charged in connection with a series of alleged theft by shoplifting incidents in the Peterhead area over the last few weeks. Between 19 November 2018 and 6 December 2018, seven alleged thefts by shoplifting were reported in the Peterhead area, with a total value stolen in excess of £850. The man is expected to appear at Peterhead Sheriff Court later today (Friday).